It has been a hectic two weeks for me due to daughter getting hospitalized, but all is back to normal now. So what now here at Avinashtech? Well, nothing much just few licenses of Outpost Firewall Pro to giveaway to our readers. 15 licenses to be precise. Keep in mind, they are not lifetime licenses but just 1 year licenses. I did try to get lifetime licenses but they were unable to offer it for some policy reasons. 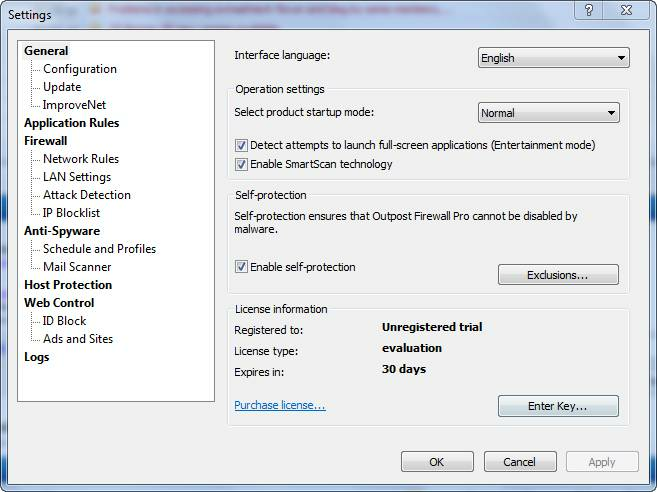 Anyway, 1 year licenses are good enough for a product like Outpost Firewall Pro. I had tested it using the trial setup as I didn’t want to lose one license just for testing and also, trial version offers full functionality for 30 days. I tested it on my laptop with Windows 7 64 bit Home premium as the operating system. Agnitum does provide a separate setup for 64 bit operating system which is good. The installation was pretty smooth. 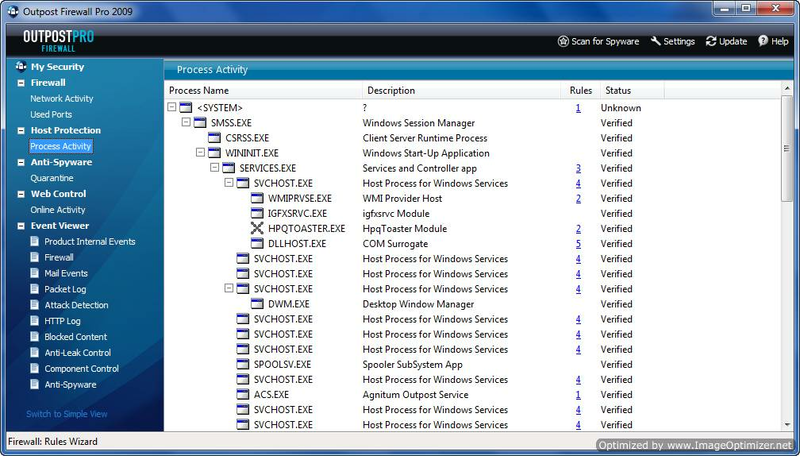 During install only, I came across the fact that it is bundled with Anti-spyware protection too. Anyway everything installed quite smoothly , but it required a restart. 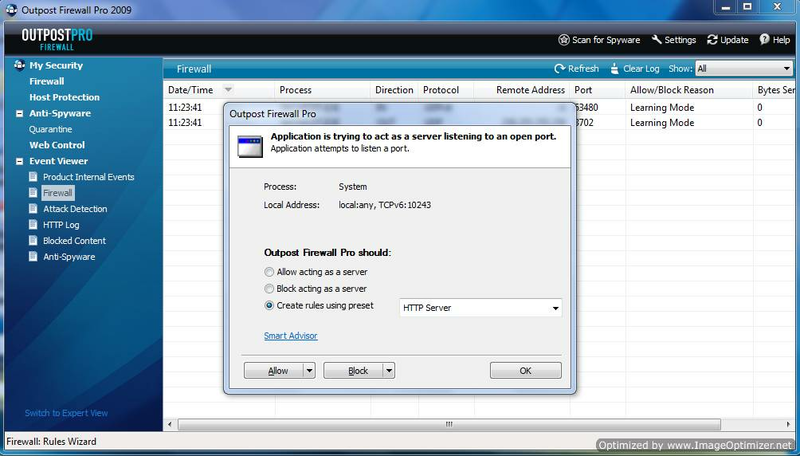 The GUI interface for Outpost firewall is quite comprehensive and its divided into categories like Firewall, Host protection, Anti Spyware, Web Control, Event viewer etc. Each category provides you loads of information which unfortunately is too technical for a novice user to understand. One of the annoying things are the popups that keep asking permission if some applications access net or popups which create rules automatically. These popups were much frequent thanÂ I had expected. Often the Popups give no clue as the information is too technical for a newbie to understand. May be Outpost guys should work on this. As I said before, it provides loads of information about any aspect that it takes care of. You wont need anything else to get more information about any aspect that a standard firewall can handle. It also provides two views. Expert view and Simple view, but even simple view is too technical for a novice user. You can configure each and every option of the firewall using the settings panel. Its quite easy to understand if you know what you are dealing with. One of the things I noticed after installing the Firewall was that ADS in the webpages were getting stripped off and replaced with a simple [AD] written at the Advertisement location. 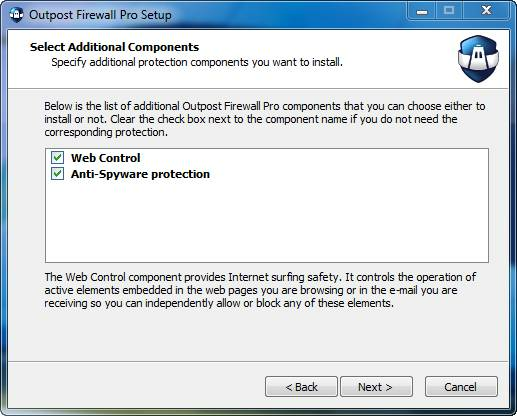 I was not able to figure it out when or what setting of Outpost Firewall Pro did this or how to bring those Ads back. In short, Here is the list of features that this Firewall provides which include Advance network firewall, HIPS monitoring and much more. I would just like to add, May be the developers could have made it less technical so that even the novice users can understand it and use it. After that ,Â leave a comment on this post. Try to leave a good comment and if possible why you want this.Â Will love if you guys can start contributing inÂ Forum too. PS :-Â Those winners who are still to give Feedback on previous giveaways in the forumÂ are not beÂ eligibleÂ for this giveaway excluding the audials one as its winners were announced just 2 days back. Winners will be decided using Random.org ListÂ randomizer.